With what shall we start? The endless ocean views? The magnificent rice terraces or the paradisiacal white sandy beaches? You all know how beautiful Bali’s landscape is and the stunning backdrop if you have your wedding on this little island. However, this is not the only reason why Bali is a great place to get married. Read the 3 top reasons why Bali is the best wedding place and you will not want to marry anywhere else on this world. Bali offers probably the widest variety of wedding places. No matter if you wish to have a tropical garden surrounding, the best cliff top views or get married right on the sand – Bali has it all! You don’t have to worry that you won’t find a location you like… more likely you will find it hard to decide between all the stunning places in Bali. Nowhere else than in Bali you can have a wedding for so cheap! Comparing how much you would spend for a wedding in your country the costs for a wedding suddenly become very affordable. This applies not only to your wedding itself but also everything in regards to your honeymoon: the accommodation, spas, activities, etc. Enjoy it and feel like a princess! Besides the huge variety of places you get also a lot of value for your booking. There are hundreds, if not thousands of 5* wedding resorts in Bali. Could you ever imagine to get married in one of the most luxurious places in Australia or Europe? In Bali you can make it happen! Don’t be satisfied with a low key wedding if you can fulfill all your dreams on a paradisiacal island. Planning a wedding in Bali is an experience itself, as you will be amazed about all the possibilities you have. 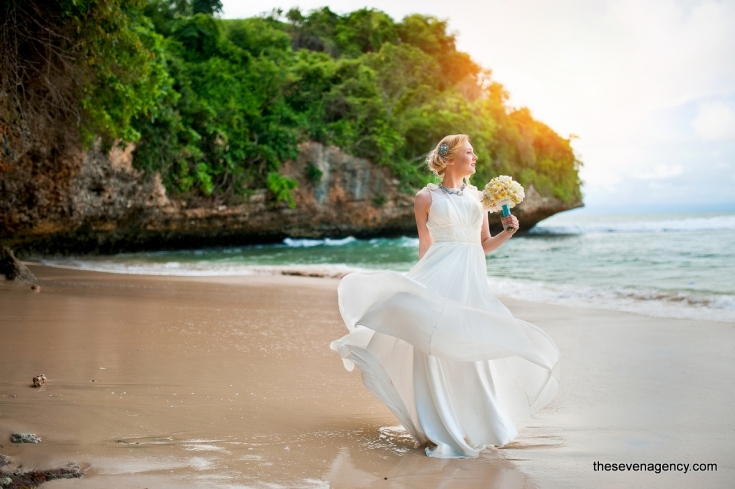 It is not without reason that Bali is a top wedding destination! Since many, many years couples from all over the world are coming to this magical island to knot the tie. If you believe in mystic or not but the good spirits in Bali will contribute to your blessing and bound your love for a lifetime.